Register for Spring Classes today! Online Registration or in person class registration is considered a commitment to participate in and pay for the entire group class session. Players may sign up for any specific class any number of times a week. Shannon must approve class level for each student. Skill level of each class may be higher than previous sessions. Players previously enrolled and players on our elite teams have first priority registration. The SPBA will be in touch with all new students at the end of pre-registration and throughout the following week while we process level changes to confirm availability for new registrations. Classes are in high demand and early registration is recommended, especially in the fall and winter sessions. We will be do our best to try to accommodate all requests, but we do have limited spaces per class. How did you hear about the SPBA? *	I have read & agree to the Cancellation Policy. Online, phone, and in person registration is considered a commitment to participate in and pay for class session or private lesson. Payment is due at the latest at the time of the first class. If cancelation of group lesson occurs 24 hours before the first class starts, you may receive a full refund or not owe any payment. If cancelation occurs less than 24 hours before your first class, you are responsible for payment for the first class. If cancelation occurs less than 24 hours before the second class, you are responsible for the price of the current session. 24-hour notice is required for cancelation of any lesson. Refunds are not provided for group lessons and make-up classes are not guaranteed. Make-up classes are only permitted if there was 24 hours notice of the cancelation and if there is open space in another day’s group lesson during the same session. If you give less than 24 hours notice to cancel a make-up class it will not be rescheduled. Less than 24 hours notice for all classes will be considered a no-show, and constitutes loss of lesson fee. Emergency cancelations will be handled on an individual basis. For semi-private lessons with 2-4 players –if a player doesn’t show up, or gives less than 24 hour notice for a cancelation that players is still responsible for their portion of the lesson fee and will not be rescheduled. Failure to attend a lesson constitutes loss of lesson fee and will not be rescheduled. Bring to the pre-registration week or a designated registration time the total payment (cash or check) for the session of classes. Checks can be made out to “Shannon Pohl Badminton Academy.” We do not take credit cards. 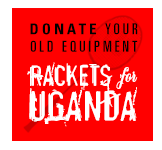 Please bring to the first class your racket (if you don’t have one you can borrow one), water, and a small notebook. All players must fill out the waiver and registration forms. Non-marking court shoes are strongly encouraged to avoid injuries. We sell them at the pro shop. Cell phone use is not allowed during classes. Players are expected to have phones put away at all times. 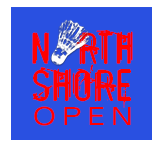 All SPBA players in our Elite Junior and Elite Senior Teams and above are expected to participate in SPBA Midwest Open Regionals and North Shore Open and participate in other local ranking tournaments. Tournament Dates are listed on the first page of the session schedule. 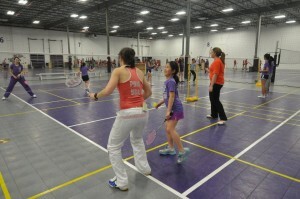 You can find a list of even more local tournaments here, compliments of Badminton Chicago. 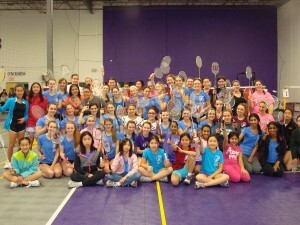 USA Badminton publishes a list of all sanctioned tournaments here.